Are you managing your business with a magic spreadsheet? Homepage/Blog/Manufacturing/Are you managing your business with a magic spreadsheet? One of the things we overhear a lot from manufacturers is “everything is in the magic spreadsheet” or “we just use a magic spreadsheet to manage our shop.” What this means is that many manufacturers are relying on one, or a series of spreadsheets, and one person (who knows how to use the “magic spreadsheet”) to manage their business. 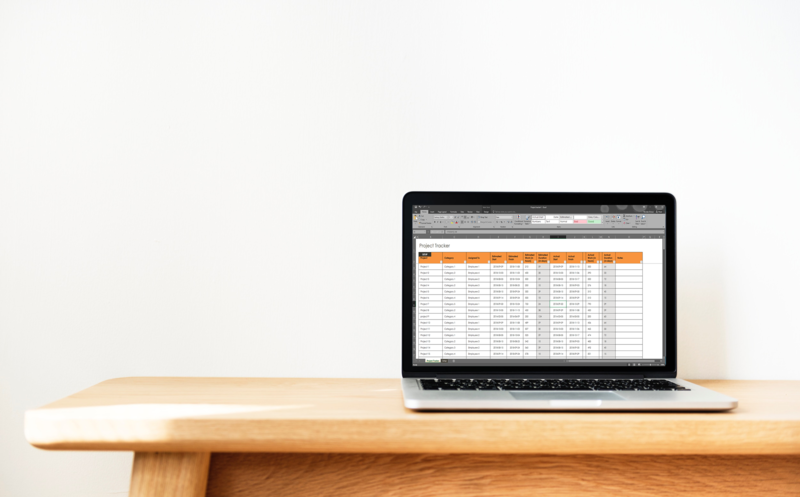 While spreadsheets are an important business tool, they certainly aren’t magic and you shouldn’t rely on a single spreadsheet to store all of your data or run your shop. It’s a big risk for a business to put all of their eggs into one basket, so to speak. If anything happens to that one person in the office who is the Excel-guru, and knows how the spreadsheet functions, all of your company’s institutional knowledge is locked inside that spreadsheet, and more significantly, inside that person’s head. If God forbid something terrible happens to that person and they get hit by a bus, or less dramatically, just go on vacation for a couple of weeks, no more data for your business. And if they leave your organization, all of your data and institutional knowledge walks out of the building with them. If you have ever looked at a complicated spreadsheet you know that it is both hard to input institutional knowledge into a spreadsheet — spreadsheets aren’t dynamic, they can’t “learn” and they don’t have the data flexibility — so most of the institutional knowledge actually resides in the head of the spreadsheet guru. And you also know how hard it is to pull knowledge out of a spreadsheet. What may be intuitive to the person who created it in the first place, isn’t necessarily easy to understand to someone opening it up for the first time, and trying to glean what the spreadsheet means (or how exactly to run your shop off of it). The second big problem with spreadsheets are that they aren’t flexible, and don’t offer real-time data. If a change happens to one of your jobs somewhere down the line, someone has to capture all of the data from the change and then input it into the spreadsheet to keep everything accurate and the spreadsheet running like “magic.” Sound complicated? It is. And the truth of the matter is that it doesn’t even have to be anything as big as a change to a job order to throw you off. It can be something as simple as someone forgetting to update your inventory levels (or simply mis-typing your inventory levels) to have major consequences. You can think a job is running perfectly on track, but then a major problem can arise when you find out that you are out of an essential part, because the inventory levels weren’t recorded properly on your spreadsheet, causing delays to the job, and ultimately, you shipping the product out late to your customer. And worse yet, what if a problem like this crops up on a day that the spreadsheet-guru is out sick? Not good. By relying only on a spreadsheet to run your shop you are tying all of your knowledge to an outdated, non-dynamic tool. (And don’t get me started about how difficult it is to create accurate reports from a spreadsheet that doesn’t contain real-time data…) What you need is a system that runs on real-time data, and that can be updated automatically from the shop floor. The other thing about magic spreadsheets is that they are really, really messy. It seems great at first because all of your information and data is being recorded in a spreadsheet, and you are able to keep track of everything from one source. But over time they get cumbersome and bulky, and can’t accurately or effectively keep track of all of the data that running a custom shop brings with it. More often than not, the spreadsheet grows and starts to have multiple tabs and sheets, meaning data has to be manually entered and updated repeatedly in different places, leading to errors and a lot of time being spent on up-keeping that spreadsheet. You’ll have to put a ton of time and effort into your spreadsheet, and realistically it’s only going to give you a one one-hundredth of what an ERP can do. By the very nature of spreadsheets your data will be limited to being recorded job-by-job, item-by-item, and you won’t have the breadth of information, the real-time access to accurate data, and the connectivity that an ERP system has. Your magic spreadsheet won’t identify issues before they turn into problems, or pinpoint for you the things your business needs to be focused on. Don’t let a magic spreadsheet run your business. Invest in a system, like an ERP, that can manage your data in real-time, connect your business from top-floor to shop-floor, and help you leverage your data and institutional knowledge to get your shop running smoothly. Transportation equipment manufacturers always need to be on top of their suppliers and the needs of their company. Learn how a manufacturing-specific ERP can make it easy! An ERP might be just what your accounting department needs to consolidate information, reconcile financials, and create reports. It will also let your accountants speed up all of their tasks — like closing out a month in half the time it used to take.